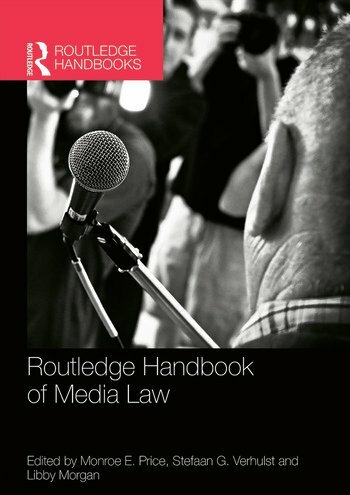 Featuring specially commissioned chapters from experts in the field of media and communications law, this book provides an authoritative survey of media law from a comparative perspective. The handbook does not simply offer a synopsis of the state of affairs in media law jurisprudence, rather it provides a better understanding of the forces that generate media rules, norms, and standards against the background of major transformations in the way information is mediated as a result of democratization, economic development, cultural change, globalization and technological innovation. A variety of rule-making institutions are considered, including administrative, and judicial entities within and outside government, but also entities such as associations and corporations that generate binding rules. The book assesses the emerging role of supranational economic and political groupings as well as non-Western models, such as China and India, where cultural attitudes toward media freedoms are often very different. Monroe E. Price is Director of the Center for Global Communication Studies at the Annenberg School for the University of Pennsylvania and Joseph and Sadie Danciger Professor of Law and Director of the Howard M. Squadron Program in Law, Media and Society at the Cardozo School of Law. Stefaan Verhulst is Chief of Research at the Markle Foundation. Previously he was the co-founder and co-director, with Professor Monroe Price, of the Programme in Comparative Media Law and Policy (PCMLP) at Oxford University, as well as senior research fellow at the Centre for Socio Legal Studies. Libby Morgan is the Associate Director of the Center for Global Communication Studies at the Annenberg School for the University of Pennsylvania.